Collection from our past client to the present. Siltless Deep Sea Dive was founded by Mr. Jason Gillo in response to “Fill the Gap and Demand “ for better dive education and diving exploration needs of the diving industry. Rxpress Care Pharmacy is an innovated community drugstore with improved customer service, ordering and delivery system. A “full service” pharmacy that offers a online ordering and next day delivery in any areas of Metro Manila. New Travel Website that showcase and feature the best places, food and deals around the island of palawan. A highly informative website that gives you not just readable content but latest photos and Videos to keep you updated on what to expect when visiting the Best Island in the World. Visit their website today and explore the beautiful island called Palawan. Want to draw attention to your company’s advocacy as part of your corporate social responsibility? Let Scripts and Pixels create a website that does that and more. Check out the work we’ve done for PTT Philippines Foundation Inc. that aims to mitigate damages to the environment through participation in various environmental protection programs. Whether for a business or non-profit organization, we can design any type of website that perfectly complements the cause you want to highlight, as we’ve done for PTT Philippines Foundation Inc. According to Google, mobile internet searches have officially overtaken conventional browsing methods in 2015. This development has made it crucial for web designers to make sure websites run smoothly across different devices. 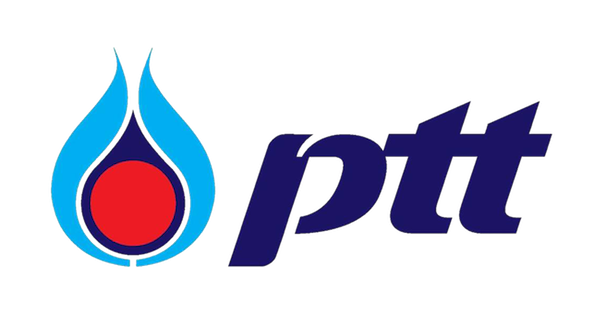 Browsing PTT Philippines website on your tablet or smartphone will treat you to a clean interface that makes it easy for users to find out what they need at a glance. We also made sure that the speed and functionality of the mobile website is equal to that of its desktop counterpart. Reach more potential customers and increase your revenue by having your own mobile website, which we can help you set up today. In just a few short years since its relaunch, TV 5 has established itself as part of the top three television networks in the Philippines. TV 5 is one of the many well-established companies in the country who has entrusted us with the design of their website, which perfectly represented their brand while maintaining the ease of use no matter what platform or device the visitor is on. Let us create a website that appeals to your target audience. At Script and Pixels, we love working with all types of organizations, whether a new company or an established institution. We also welcome the challenge of handling clients from different industries because we know that this contributes to our own growth in turn. Founded in 2010, Dragon Metal Industries may be a newcomer in its field but only after a few years, it has made a name for itself as a top quality shutter fabricator and installer. Because of their commitment to excellence, the company has gained the trust of many long established brand names, which include Chevrolet and Toyota. Learn how we can help by giving us a call or sending us an email! An international channel that supports AksyonTV, AksyonTV International is available to viewers in the Middle East, North Africa, and in some territories in North America and Europe. Navigate through their website and easily find a list of their shows, which include documentaries, sports programs, drama series, news programs, variety shows, and many more. Want more site traffic? Make sure you get plenty of visitors and keep them longer by letting them find the information they want effortlessly. Its strategic location in the Mediterranean and in Europe as well as its emerging economy make Barcelona an investor’s dream. Tourism, food, and fashion are just some of the thriving industries that you can explore in this vibrant city that has the 4th GDP ranking in the EU. We’ve created a website that showcases the “invest in Barcelona” campaign where interested parties can find all the information they need to make a decision with just a few clicks. You, too, can have a site that attracts potential customers, investors, or partners. Contact us today to learn how we can help! Pot Hed Inc. was created with the goals of reconnecting people to food and making a positive change to the environment. Their latest project is a partnership with Majik Mayk Gourmet Mushrooms to produce purely organic kits that will allow people to grow their own mushrooms at home. Made of Kalinga coffee waste grounds, these kits are sustainable and all-natural. Do you have the same passion for food and nature? We’ll help you create a website that will appeal to like-minded individuals so you can grow your business as well as your network of contacts. Diamond Grid Incorporated (DGI) is a name that you can count on for all types of surveys, the creation of maps and plans, as well as other services related to land and property development. DGI is based in Antipolo, Rizal but they take on clients from all over the country. Whether your operations are limited to a specific city or you conduct business nationwide, individuals, contractors, and other businesses can reach you without difficulty if you have a website that shows what your company is about, what you can do for your clients, and the different ways they can contact you. We’d love to hear from you. Give us a call! A safe, fun, exciting, and hassle-free trip is what El Mundo Travel & Tours wants their customers to have. They provide tour packages to beautiful and world-class travel destinations in Palawan, such as Honda Bay, Dos Palmas, Underground River, and El Nido. With their commitment to providing personal yet professional service as well as reasonable and competitive prices, El Mundo Travel & Tours is set to be the choice for tourists, here and abroad. Just like El Mundo, Scripts and Pixels offers competitive packages so you won’t be left behind in a world where online presence is no longer just an option for most businesses. Amika Travel and Tours has been a travel agency and tour operator in Palawan since 2010. An accredited travel agency of the Department of Tourism and the City Tourism of Puerto Princesa, the company caters to families, corporate clients, government agencies, and even schools. The website of Amika Travel and Tours prominently displays pictures of some of Palawan’s breathtaking destinations of El Nido, Coron, and Puerto Princesa. These images are sure to capture the heart of any traveler who wants to experience nature at its best. If you’re in retail, make sure you attract potential customers by displaying great quality images of your products. Leave it to us and we’ll take care of the layout and everything else. The port city of Marseille is not only a perfect holiday destination, it also has a lot to offer when it comes to its potential for investment. Currently, the real estate and small business sectors are thriving but you can find a wide range of employment opportunities if you that is your cup of tea. And if that’s not enough, Marseille’s beautiful beaches, rich art and cultural scenes, as well as the amazing regional cuisine are sure to convince you about just how wonderful this city is. Investing in Marseille is smart, so is investing on a well-designed and functional website. Let Scripts and Pixels help you expand your reach of customers and investors. We’ll work together to make the website of your dreams come to life. Coron is fast becoming one of the country’s go-to places for divers and nature lovers as it is home to Asia’s cleanest lake, Kayangan. Sophia’s Garden Resort is one of the newer establishments offering accommodations in the area. Known for its beautifully landscaped gardens, this Spanish-inspired resort is a great place to be your home away from home while you’re in Coron. If you have a similar business in Coron or in other areas of Palawan as well as the Philippines, we can help you create a site where travelers can see what you’re offering. Apart from the design, we can also help with the content. One Island One World is where you’ll find Armand TJ chronicling his greatest passion: music. Borne from a vision he had in 2003, Armand’s music has now gone from the world-renowned island of Boracay to Europe. Armand continues to create music about love, life, and paradise that touch people’s lives. Grow your musical career with an online presence where people can listen to your songs and where you can connect with individuals who share the same passion wherever they are in the globe. A network of Professionals of the Electronics Industry, EPIC is a platform for exchanging business and technology information for mutual success. They hold workshops, exhibits, and other events all over Europe. Professionals from the same industry benefit from an association or a network where they can easily connect with each other to swap ideas. Scripts and Pixels can help you create your own platform to effect change in your industry and the world as a whole. Nurture Network is an online community that provides support and encouragement to parents. Contributors share experiences and provide helpful tips on how to tackle the daily challenges of parenting and caring for the family. Community members can also ask resident experts for professional and medical advice. Want to have a community where you can connect with people who have the same interests? A website is a great place to swap tips and stories that will help you and your members grow in knowledge as well as in numbers. Call us so we can set something up for you today!